Carla Pearson joined HelmsBriscoe as Manager, Global Accounts in May of 2014. Based out of Broomfield, Colorado, she brings over a decade of experience in the Service, Hospitality, Group Sales & Meeting Planning industries. Her sole focus is to give HelmsBriscoe Clients the very best service possible by transitioning out of the hotelier role and into the Client-centric model that HelmsBriscoe provides. With more than 10 years of industry experience, she has worked at both Hilton and VenQuest properties, as a Banquet Manager, Food & Beverage Manager, Catering Manager & Group Sales Manager. She is well versed in SMERF, Association, Corporate & Social platforms. She studied for her Associate of Arts Degree at AIMS Community College in Greeley, Colorado. 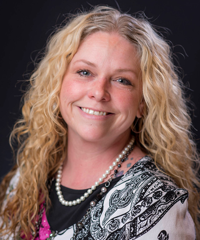 Carla brings a wealth of experience, knowledge, and outstanding customer service to the table and is excited to embark on a rewarding, Client-focused journey with HelmsBriscoe! If you are in need of site selection assistance for an upcoming meeting or event, please contact me by filling out the Express Meeting Request Form below, or by downloading and emailing me the Detailed Meeting Request Form. I look forward to working with you! Please note, changes made to this PDF form in a web browser (Chrome, Internet Explorer, etc.) WILL NOT SAVE. To make and save changes to the form, please be sure to save the document to your computer by right clicking the link below and selecting "save as." Copyright © 2019 All rights reserved by HelmsBriscoe.